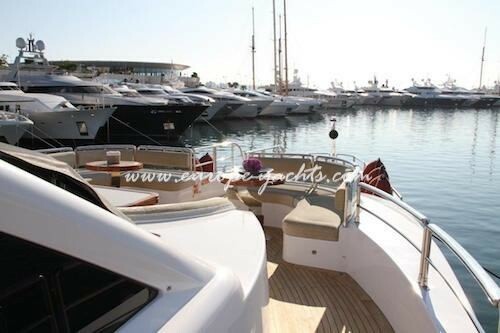 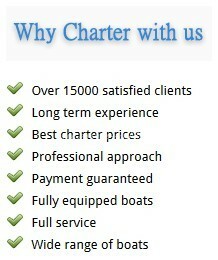 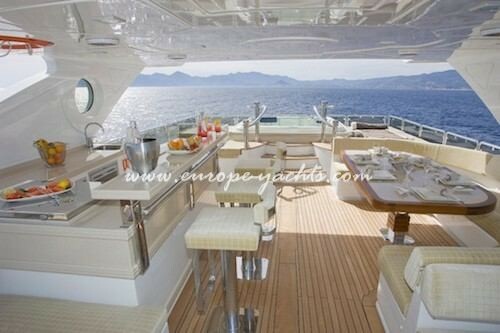 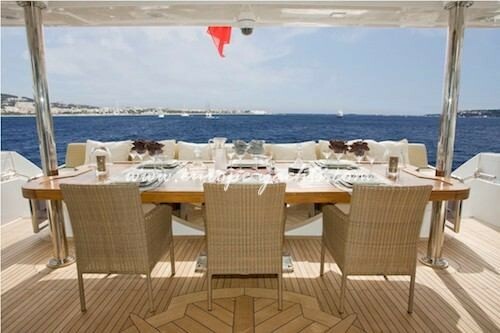 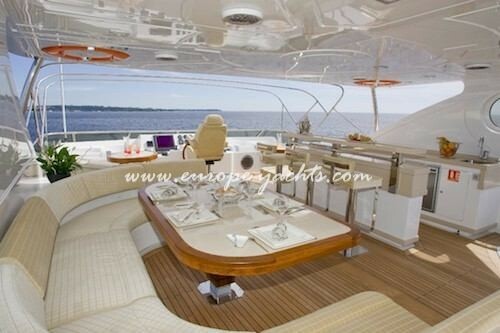 Luxury Motor yacht charter West Mediterranean, East Mediterranean on board M/Y Grenadines III with Europe Yachts Charter. 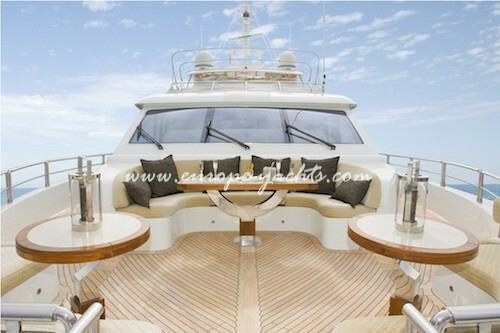 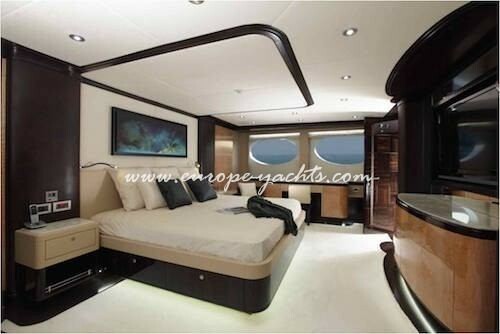 Majesty yacht 125ft with 5 cabins, Grenadines III was delivered in 2010. 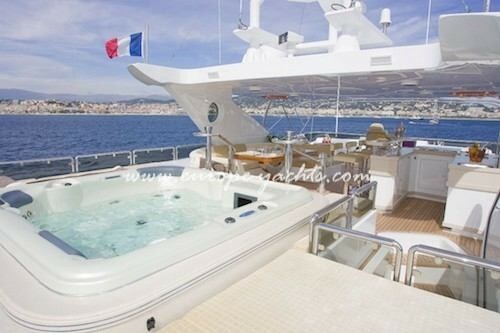 She has been commissioned to offer exquisite performance with comfort to her 10 guests through her four decks. 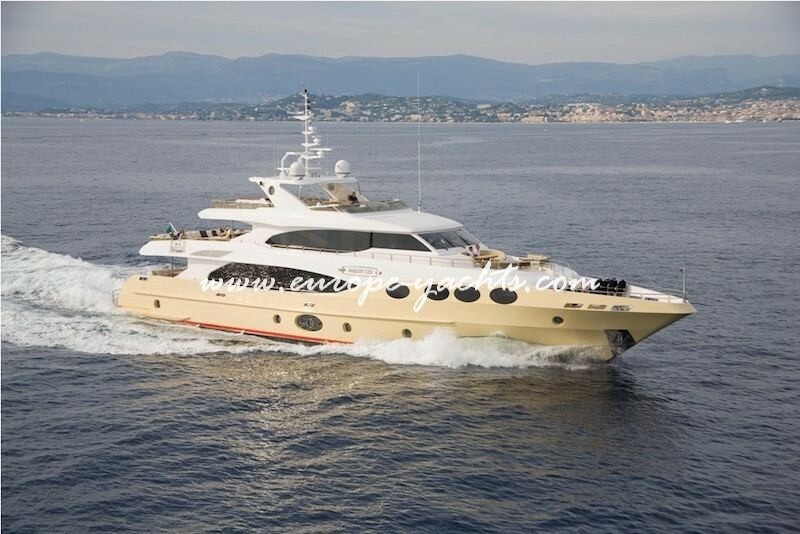 Perfectly run and maintained by a full time thoughtful crew of 7, Grenadines III is certainly one of the nicest yacht of her category that is available on the Mediterranean charter market today. 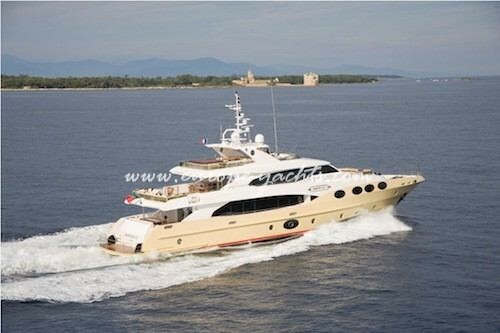 She is in perfect condition throughout and ready to welcome you aboard for an unrevealed trip. 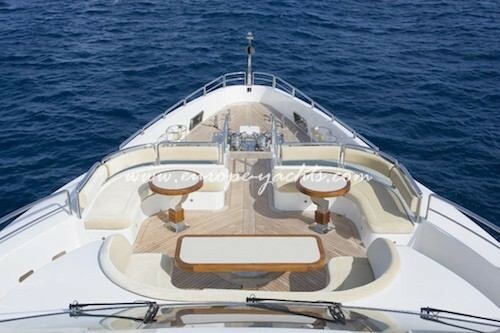 Step aboard and you will feel the true spirit of a gentleman yacht. 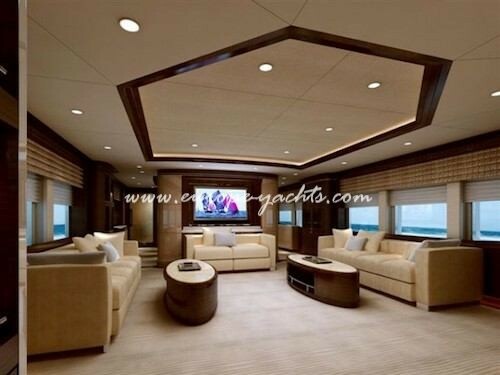 Every last details of her spacious, luxurious interiors is steeped in luxury and feature throughout a careful selection of fine leathers, woods and Onyx marbles. 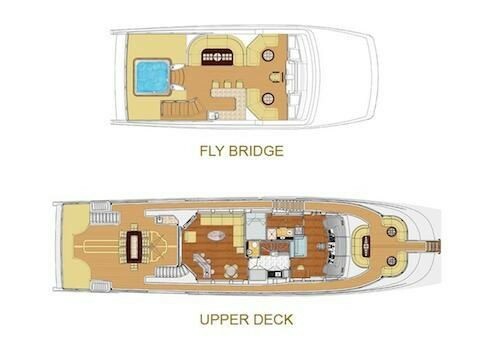 The fly bridge has an automatic retractable sunshade and al Fresco dining, a six person Jacuzzi with lounging areas on the sundeck offering 360 degree views and 2 sets of outdoor wet bar with BBQ. 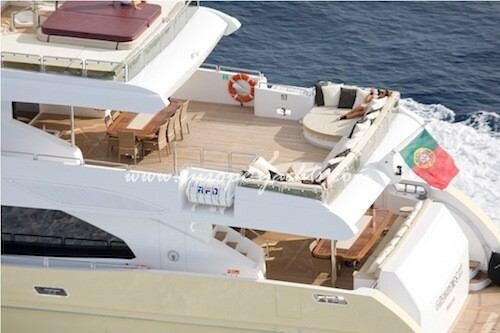 The upper deck areas include a sky lounge with comfortable sofas and a nice bar while outside set a large wooden table for up to 10 guests, plus a lounging area and foredeck a complimentary seating area that will allow guests to take their breakfast or simply enjoy the view while cruising. 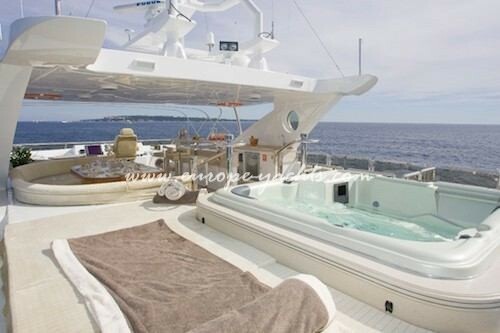 This place is really the one to be at any time. 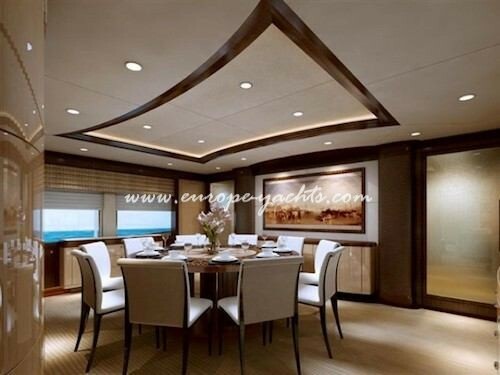 On main deck , guests will enjoy relaxing in the main big salon featuring the latest AV equipment and for dinners the dining area can accommodate up to 10 guests with comfort. 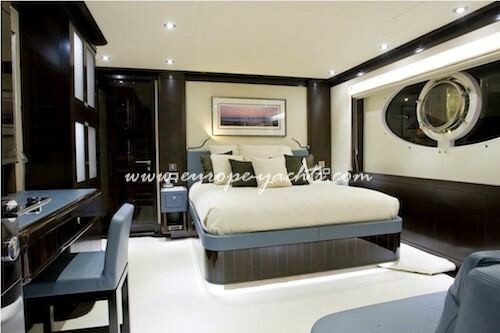 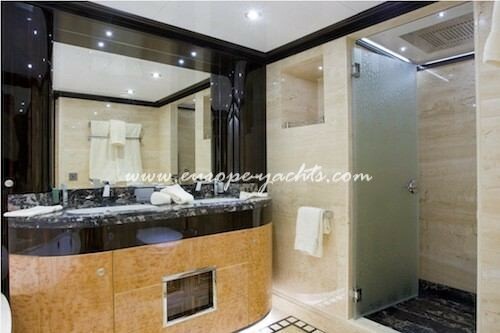 On this deck is also located the master stateroom, its study and his / hers bathroom equipped with bath and shower. 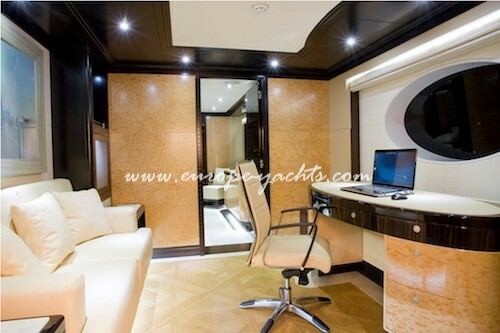 Safe box, Plasma screen, DVD and audio system at disposal. 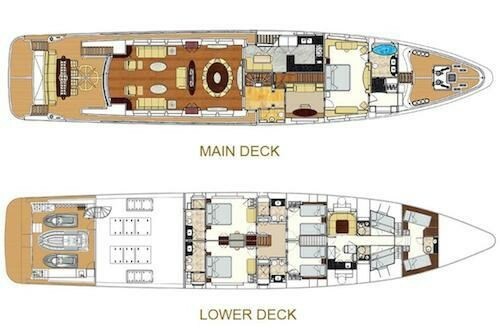 Guests will be accommodated in 4 cabins lower deck. 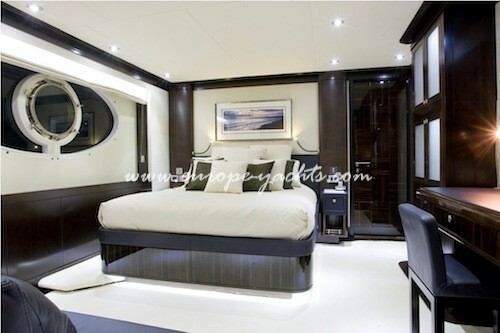 2 double and 2 twins cabins offering all comfort one may expect. 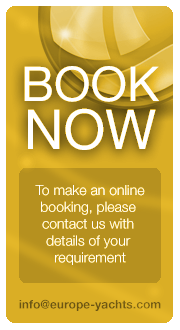 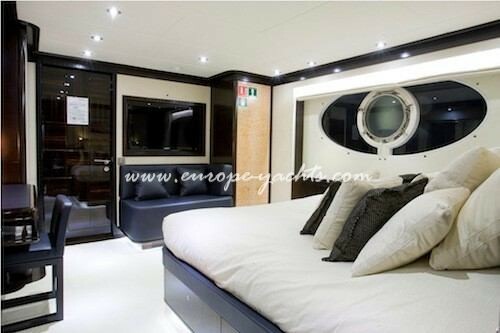 Each cabin is ensuite and also equipped with the latest AV equipment. 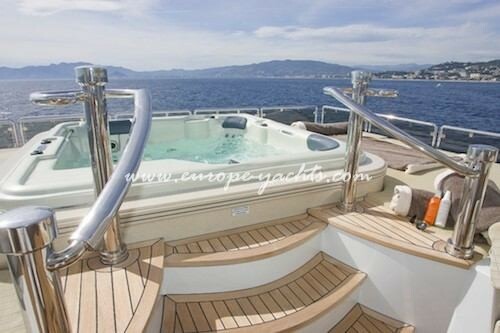 This Super tri-deck yacht of 38m40 has a full range of extras and amenities including an array of toys and all of the described details are just some of the impressive features Grenadines III offers. 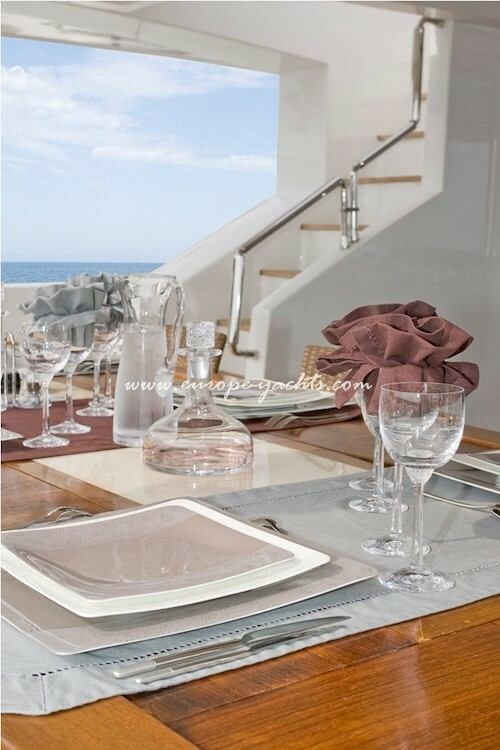 For Gourmet connoisseurs, dining on board is an exquisite experience of gastronomic worldly discovery and delight. 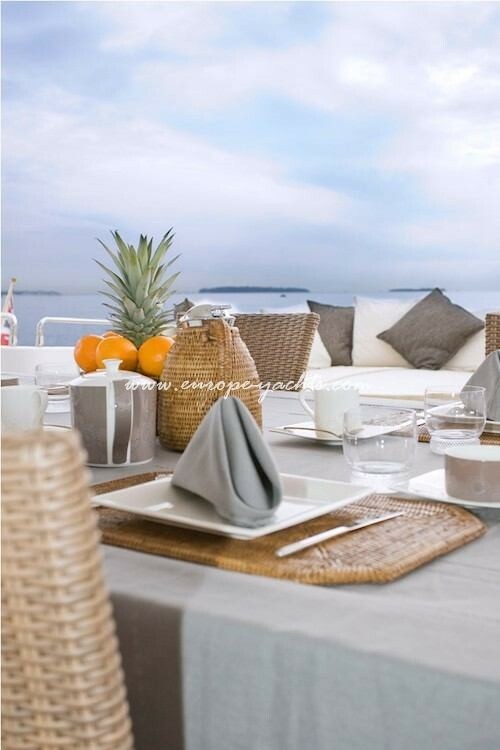 With Grenadines III’s French Chef Cédric Brunet, guests can expect a culinary experience of Mediterranean contemporary recipes to delight. 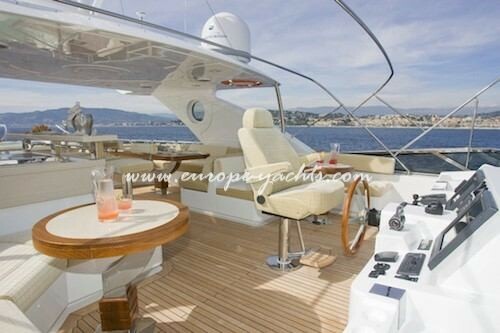 Captain Luc Danduran and his 6 silver- class crew are ready to welcome you for an unforgettable journey. 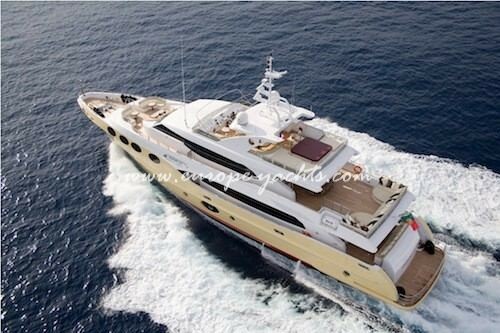 Grenadines III is available for charter West Mediterranean.